Photo facial treatments are performed using intense pulsed light therapy. The laser is used to treat vascular lesions, sun damage, age spots, and Rosacea. There is no downtime with this treatment only a slight feeling of being sunburned, as well as swelling and facial redness that can last up to two days post treatment. After a series of 5 suggested treatments, the skin will appear healthier and more youthful. 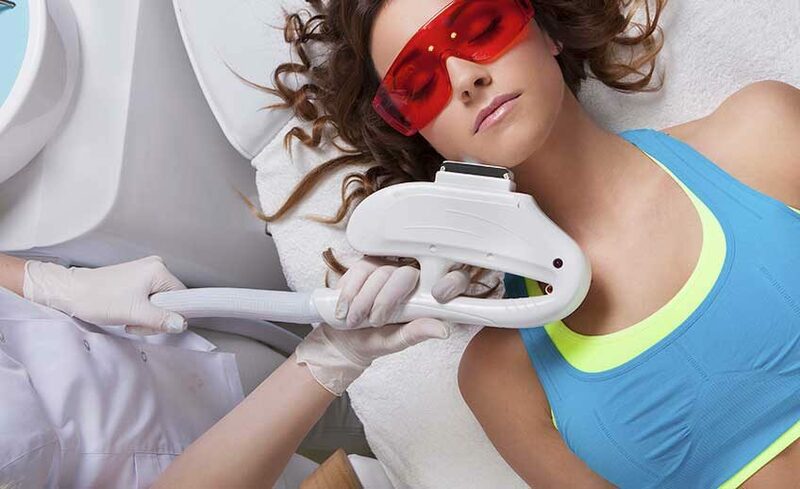 Light based permanent laser hair reduction is available for most skin types and can be used to reduce hair growth from faces, backs, chests, arms, underarms, bikini line, and legs. Light is used to target and destroy stem cells around the follicle responsible for hair growth without damaging surrounding tissue, so there’s less risk. To be affective, permanent laser hair reduction needs to be done in several treatments during the active phase of growth. Approximately 5 treatments are suggested. This treatment improves skin appearance with no downtime resulting in smoother, healthier looking skin without surgery. Treatment of stretch marks can be done on any skin type. Pulses of fractional laser light are used to break down the hemoglobin and water in the dermis stimulating new collagen growth. The new collagen can leave stretch marks smoother in texture and reduce the appearance on the skin. Our fractional hand piece offers treatment for several skin conditions with very little to no downtime. Laser skin resurfacing works on many skin types. Different resurfacing options can improve the deepest wrinkles, the most challenging scars, and help correct a wide variety of other skin imperfections. Fractional skin resurfacing uses laser energy microbeams to create a controlled injury that extends through the epidermis into the dermis. The body’s natural healing process creates new, healthy tissue to replace the areas of damaged tissue, resulting in healthier, youthful looking skin.